We all want to take great pictures, but often we are not comfortable in choosing our photo gear on our own. 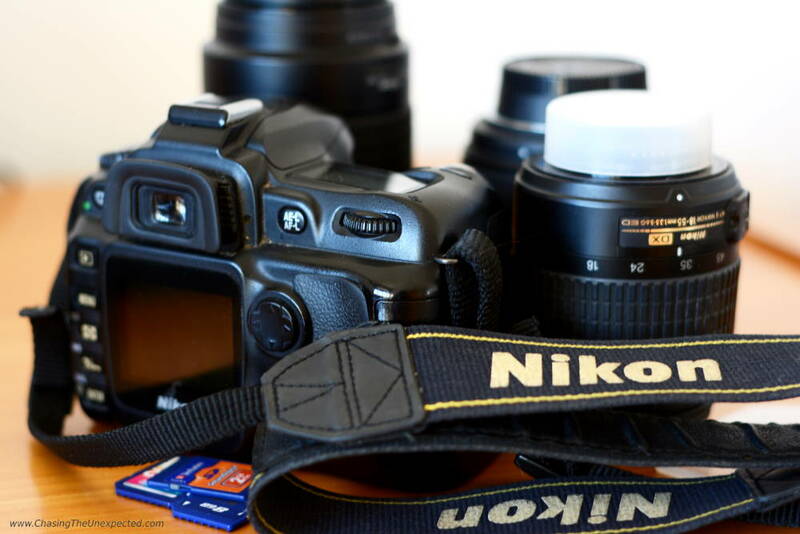 This detailed and complete buying guide will help you find the best cameras for traveling so that you go back home with great memories and images to share with family and friends. And, why not, brag a little on social media! For many of us, taking photos is one of the great joys of traveling, yet choosing which camera(s) to take can be a challenging decision. These days, there’s almost a mind-numbing amount of cameras on the market, and finding the one(s) that will best meet your needs will inevitably take some research. This article’s here to help you sift through the options and narrow down your search by both type and price. 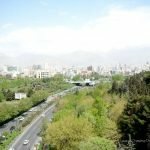 While it’s true that the “right” camera is the one you have on you, it’s also true that different travelers take photos for different reasons. Some people take photos to bring their travel memories back home with them and to share with friends. These folks are generally more casual about their photography. 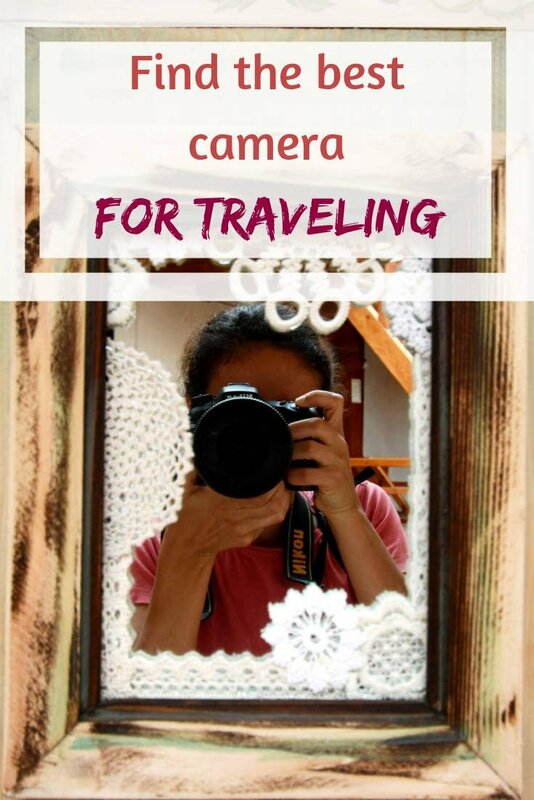 Others are actively documenting their travels—maybe blogging or vlogging—and want their photos to look good for a wider audience. Then there’s the photography enthusiasts—folks who take their photography seriously and really work to learn how to use their cameras and capture the best shots possible. Which category you fall into (or wish to fall into) will do a lot to determine what kind of camera you should choose. There are a whole host of other factors to keep in mind as well. How much gear are you willing to carry? Every traveler knows that space is at a premium when traveling. There’s only so much stuff we want to physically lug around from place to place, and only so much stuff that will realistically fit in our bags. Loading oneself up with camera gear is a true nuisance, even for professional photographers. So, while larger sensors mean better photos, they also generally mean larger cameras. (This is why it’s useful to have a dedicated camera—your phone just can’t pack in the larger sensors that dedicated cameras can.) Yet, since most of us aren’t professional travel photographers we probably don’t need to go the whole hog with sensor size (i.e. a full frame camera, which is a monster to carry around). That means you’ll need to decide what image quality you’re willing to live with alongside how much gear you’re willing to carry and how much you’re willing to spend. The good news is that for most of our purposes, the smaller sensor sizes will work fine (and that means smaller cameras). But in the end, it will still come down to how much gear you’re truly willing to carry. Mirrorless cameras are expensive, but they are much smaller than DSLR’s, and have fantastic image quality. How much effort are you willing to put into learning to use your camera? Cameras, like most things, have a learning curve. The more you learn, the more you can get out of it. Yet not everyone wants to spend the time diving into the depths of their camera—they just want to take pictures they’re happy with. If you’re someone who just likes to point and shoot, there’s no point spending money on a camera whose primary value exists in a lot of features you’ll never get around to learning. If you have dreams of going pro, getting published to various blogs, or just taking the best photos you can, having advanced features on your camera will be important. Will you be using your camera for video? If so, how often, and at what quality? Is WiFi/Bluetooth connectivity important to you (allowing you to upload photos instantly to your computer or smartphone)? Do you photograph in inclement weather often? If so, some degree of weatherproofing will be useful. Compact digital cameras are perfect for the traveler who wants something light, small and easy to use. These little cameras will often easily fit into a pocket or a purse and with today’s technology, can take some stunning photos. The camera sensors are smaller than the larger cameras and they don’t have interchangeable lenses, but if if minimizing the amount of gear you’re carrying is important to you, these cameras pack a lot of bang in a small package. 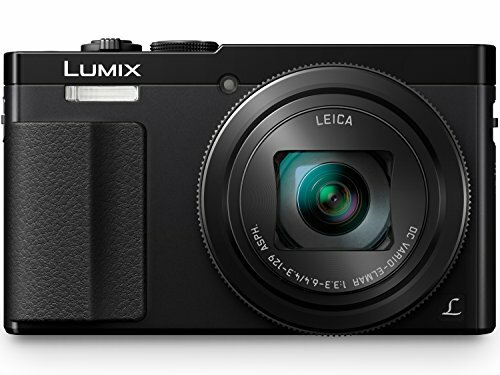 The original travel zoom camera, the Panasonic Lumix ZS50 is still one of the best buys on the market. It has a huge optical zoom (30x) and image stabilization, allowing you to get shots you wouldn’t otherwise be able to get. It also has a manual mode, so if you want to learn about the different camera controls and take more control over your photography, you can. This little camera can shoot in RAW too, something particularly important if you intend to edit your photos. It’s an older model, but that’s not always a bad thing, especially considering how much convenience, control, and quality it packs in for the price. ⇒Click here for more info and the price. 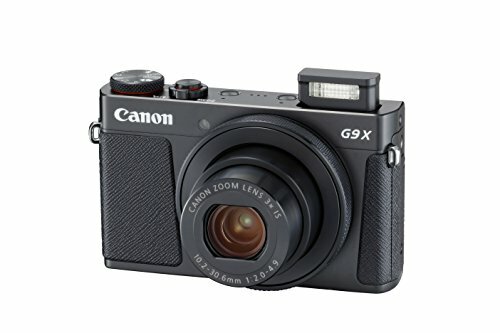 The primary bragging rights of the Powershot G9 Mark II is its sensor size (1-inch) and fast lens (f/2), allowing for better low-light shots. It comes with a strong suite of manual controls, shoots in Raw, and has a particularly fast processor so you can take more photos in less time. Its primary drawback is its modest zoom—only 3x—but other than that it’s a pretty solid pocket camera. ⇒ Click here for more info and the price. The V-logger’s compact camera of choice, this little beast shoots great video with better on-board audio than the Sony RX100 (listed below). While it doesn’t shoot in 4K, the better microphone and the flip screen can really make all the difference for the serious v-logger. Bonuses include a superfast lens (f/1.8-2.8), strong image stabilization, built-in WiFi and NFC4, and continuous shooting at 8 fps. 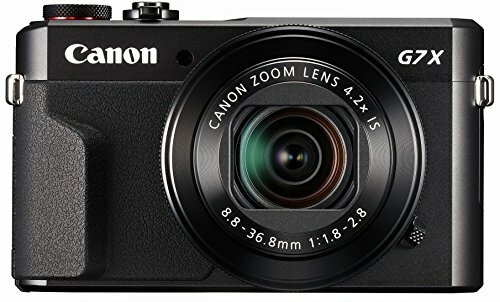 Slightly more expensive than the Canon Powershot, the ZS200 / TZ200 has a 1-inch sensor, built-in electronic viewfinder, and the ability to record video in 4K. It comes fully-featured with WiFi, a reasonably fast lens (f/2.5), 4K Post Focus photo capture, a touch-enabled LCD, and all the bells and whistles you’d expect from a high-end point-and-shoot. 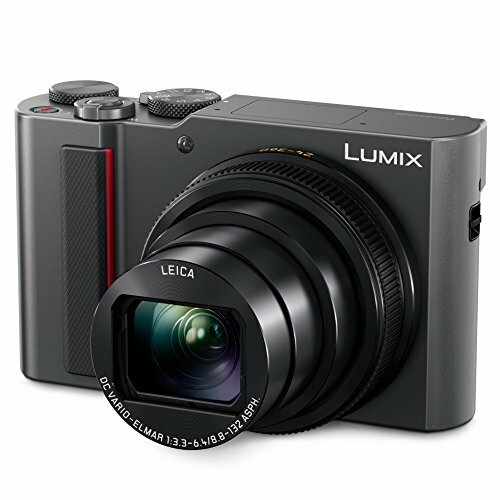 The main drawback is that its optical zoom isn’t that impressive—only 15x, but if you’re looking for a small camera that will shoot great video, this is a good option. 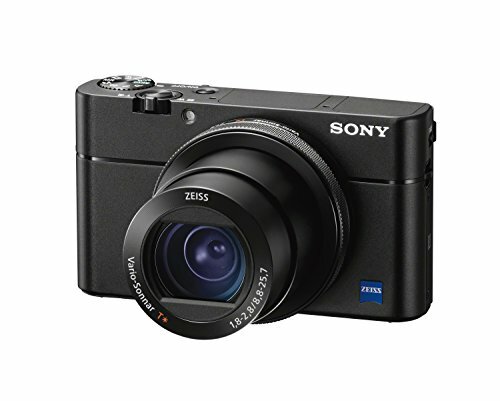 Considered by many to be the best travel compact camera on the market, the Sony RX 100 series has just about everything a you could want in a camera that will fit in your pocket. It has many of the same controls as a larger camera, as well as ultra-fast focusing, a flip-screen for v-logging, and 4K video. The auto focus is impressive, both in it’s accuracy and speed, and it’s continuous shooting mode is one of the best out there for this class of camera. What’s more, Sony makes some reasonably priced underwater dive-housings for this line, so if you’re into diving or snorkeling, this is definitely a camera worth considering! If you find the price a bit steep, there are older models of the same line still available and they also perform excellently. Keep in mind, though, the main reason to buy a higher end compact camera is size and weight. If these aren’t primary considerations for you and you have the available budget, it’s probably better to step up to a camera with interchangeable lenses. These will have larger sensors and far more versatility in lens options. But before we go there, there’s one more pocket-size camera we need to cover. 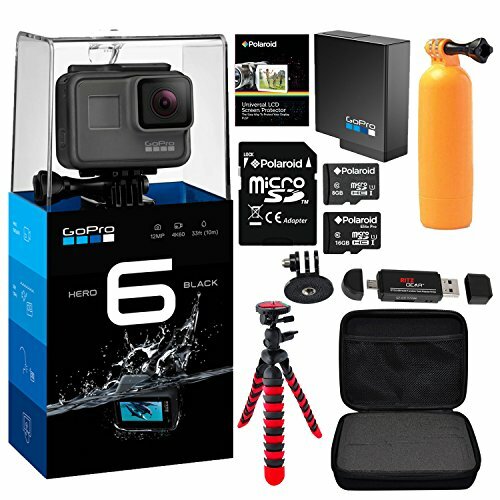 Action cameras have recently created their own niche in the travel photography world. They’re small, waterproof, attach to just about anything, and are just about indestructible. GoPro is still the go-to brand for quality action cameras, and the Hero 6 is just about the best there for the adventure addicts out there. It has better image stabilization than the older versions, a touch-screen, and voice activated control so you won’t have to use your hands to start recording (oh so important in so many scenarios!). There are a few other brands out there, but few actually match the Hero 6. One thing to keep in mind, though, is that unless you’re only shooting action video, the Hero Pro doesn’t make for a good primary camera—it only shoots in wide angle, has a small sensor, and a limited zoom. Mirrorless cameras have come a long way over the last decade and now come close to equaling professional DSLRs in image quality, all in a smaller package. For many, it’s the perfect travel camera, being smaller than a DSLR yet having just about all the same features. You can even find a higher end mirrorless camera with a full-frame sensor to get professional-quality photos (see below). One thing to keep in mind with both the mirrorless cameras and the DSLRs—whatever system you choose is the one you’ll be investing in, as you’ll be buying lenses that fit that camera style. So choose carefully, keeping in mind what you might like to upgrade to in the future. 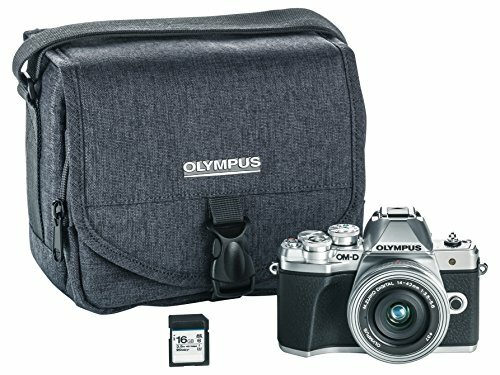 Olympus was one of the first brands to jump on the mirrorless camera train, and their current entry level model, the OM-D E-M10 Mark III, is no slouch. It offers in-camera image stabilization (as opposed to Sony and Fuji’s lens-based IS), a tilting touch screen, and a number of art filters. Its micro 4/3rd’s sensor is a bit smaller than other mirrorless cameras, but it’s not really that noticeable. What’s more, there are a wide range of lenses available. Sony’s entry-level mirrorless, the a6000 sports an APS-C sensor (the same as in crop sensor DSLRs), fast auto-focus, and a wide range of lenses. It also has an ISO range up to 25600, allowing you take better photos in lower light situations. 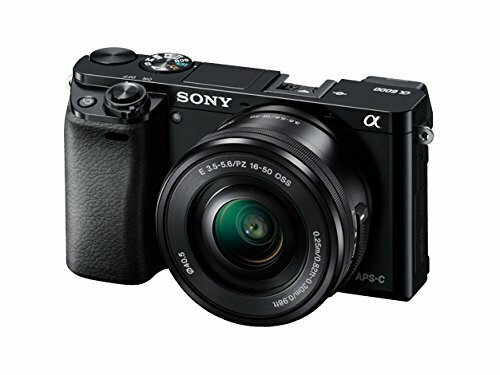 A great entry-level camera if you’re looking to get into the Sony system. Fujifilm has a very loyal following. Their products are quirky and different, but they have a very fine camera line. 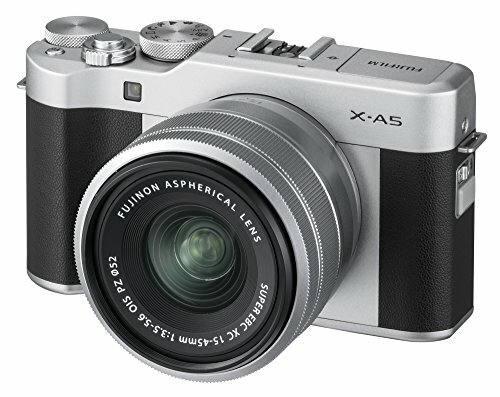 The X-A5 is their entry level model and takes excellent photos at a reasonable price. (For around $600 you get both the camera body and a decent lens.) It comes with lots of features, too. A great all-around entry level camera in the Fujifilm series. 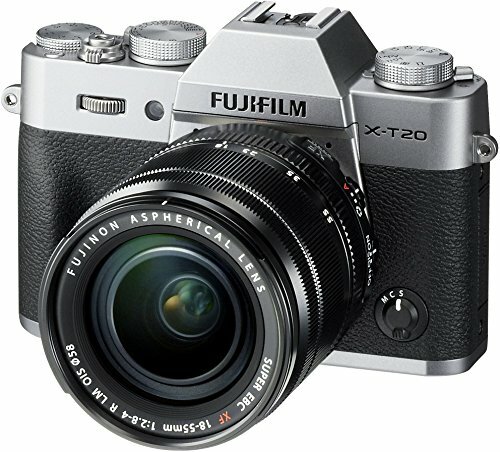 The X-T20 is Fujifilm’s midrange mirrorless camera and performs remarkably well when compared with its peers. The images come out rich and detailed, it’s light and feels great in the hand, and has an extended ISO range of 100-51,200 and a superb auto-focus. The electronic viewfinder is a bit small, however, and more importantly for some of us, it’s not weather-sealed. For that you’ll have to bump up to the pricier X-T2. 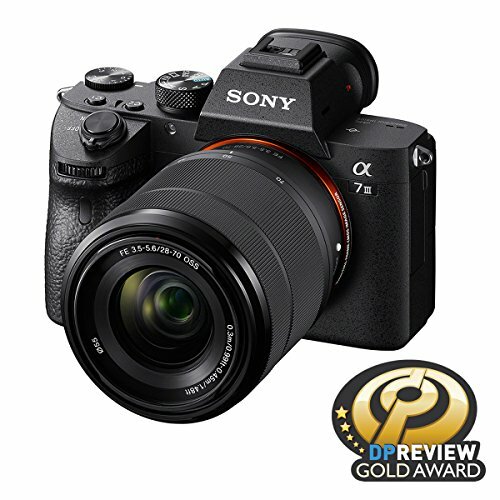 One of the best mirrorless cameras on the market, the Sony A7 III takes remarkable video and still images, all with a full frame sensor. 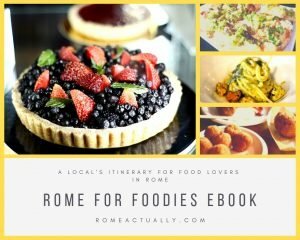 For travelers who are serious about their photography on the amateur or pro level, there’s really no better option. Sony also offers specialty versions of this camera. For example, the A7R III is geared towards landscape photography, while the A7S II was built with videographers in mind. The price is high, (especially for a body-only) but you’ll never look back once you invest. If you’re serious about your photography and eventually want to go pro (or take pro-level photos), investing in a DSLR might be the right choice for you. DSLR’s are heftier than their mirrorless counterparts, but there are often many more lenses to choose from, the battery life is often far superior because of the optical viewfinder, and the photo quality is generally excellent across the board. Like with the mirrorless options though, once you invest in a camera you’re essentially buying into an entire lens system, so make sure that whatever you buy now lands you in the system you want to be in in the future. (Luckily many lenses work for both full-frame and crop sensor cameras, so you can start with a cheaper/smaller crop sensor camera and eventually upgrade to a full-frame without having to lose your investment in lenses. 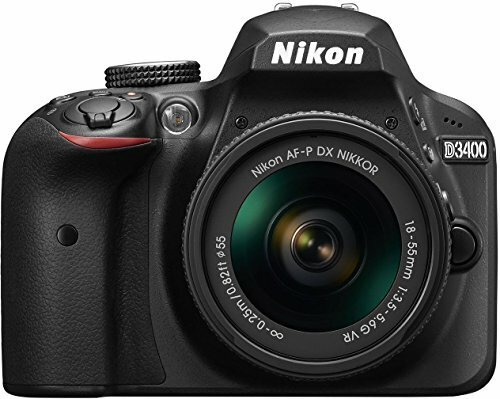 Nikon’s best entry level DSLR, the D3300 and D3400 are great Nikon starter cameras. 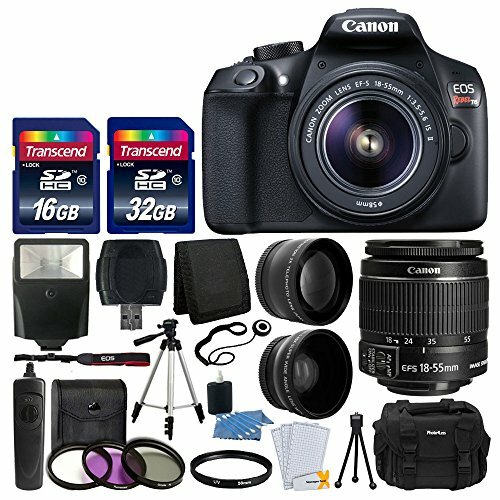 (The D3300 is the older model, but a much better value in my opinion.) It performs well for the price, and you can begin learning the camera and investing in good glass while not sacrificing image quality. If you’re looking to get into the Canon system, then the Rebel series is the place to start. In all reality, it’s probably not much different from the Nikon D3400—it just depends on which system you want to jump into. 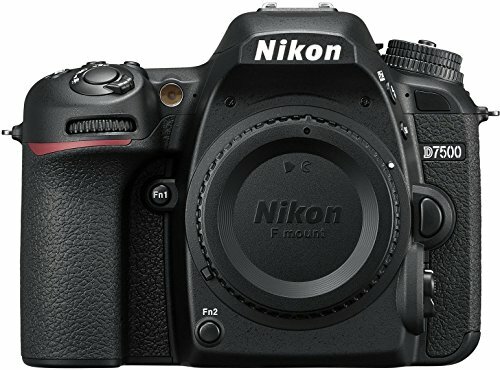 The Nikon D7000 series is not really that much bulkier than some of the larger mirrorless cameras and is point blank a solid performer across the board. The D7500 is the newest model and is feature-rich, but the older models perform admirably if you’re looking for a deal. Full frame cameras don’t really make great travel cameras, as they’re large and bulky. Pretty much the only reason to carry one is if you’re a professional photographer. That being said, the entry-level full frame cameras for Canon and Nikon include the Canon EOS 6D Mark II and the Nikon D750. Can you get buy with just using your smartphone? Of course you can! If you’re not wanting to tote around a dedicated camera and/or want a great backup camera, having a great camera phone with you is the way to go. They also have the bonus of being able to edit photos directly on the smartphone and share them on social media without having to touch a computer. They won’t come close in comparison to cameras with larger sensors in low light situations nor can they come close to the zoom ability, but for convenience and portability, they can’t be beat. One of the best camera phones for the price, the Motorola Moto G6 comes unlocked, has a Micro-SD card slot for extra storage (important for photo/video storage), and a bright 18:9 display. If you’re looking for a cheap, dedicated travel phone for use with local sim cards, this is one of the best deals out there. Slightly higher quality than the Moto G6, HTC U11’s camera comes with image stabilization, a fast lens (f/1.7), and an excellent HDR mode. It ranks well in the DxOMark tests for camera phones, comes unlocked, and generally performs admirably for the price. If you’re looking for a great smartphone to use as your primary camera, then you might want to consider investing in a beefier phone. The Google Pixel 2, Samsung Galaxy S9, and iPhone 8 are all at the top of their game as far as their cameras are concerned. They also have unlocked versions if you don’t want roaming fees. Which one you choose will really depend on the type of phone you’re into. 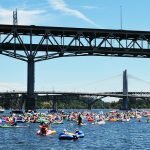 Bio: This is a guest post from Max – an amateur photographer and blogger who likes to write about photo editing, modern photo trends, and inspiration. You can find out more at his blog Photo Geeky. Feel free to reach him by email.